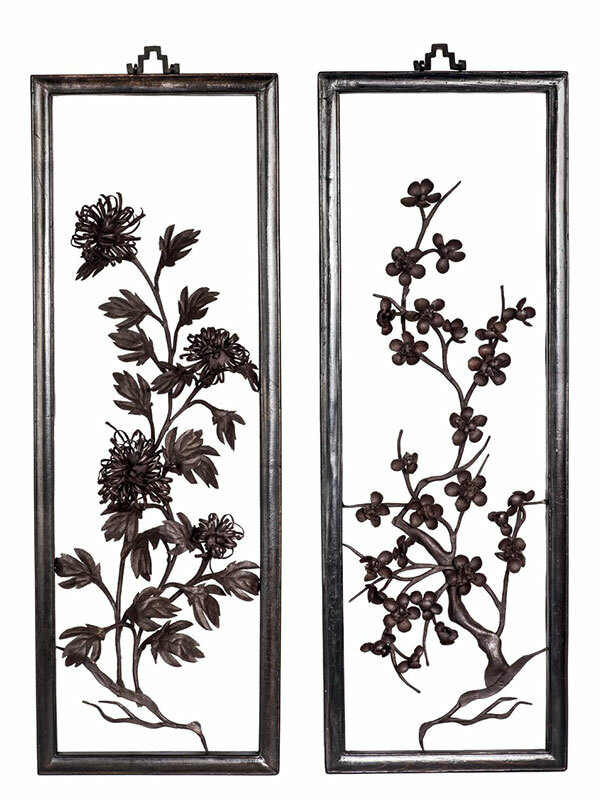 Three iron paintings, depicting gnarled branches of a flowering prunus tree, lotuses and chrysanthemums respectively. Each painting is framed within a hardwood frame. 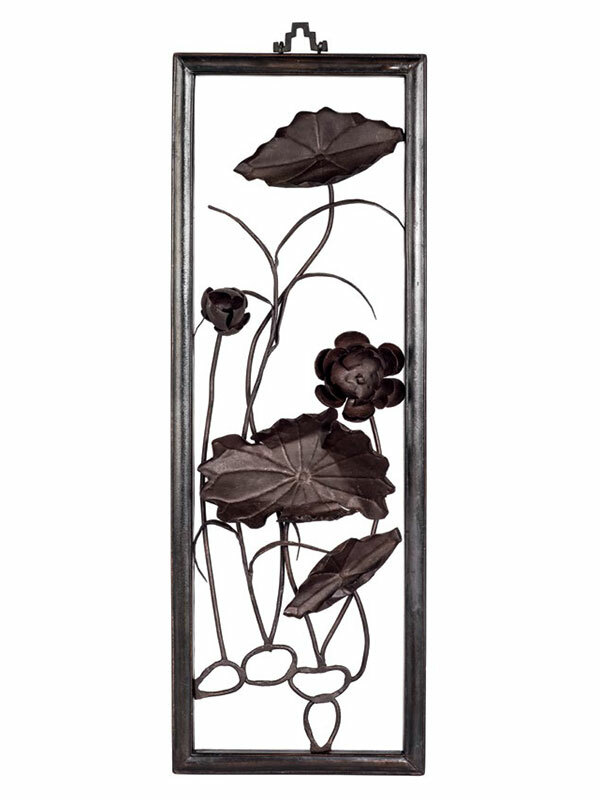 The wrought iron elements are made individually and jointed together with bolts.